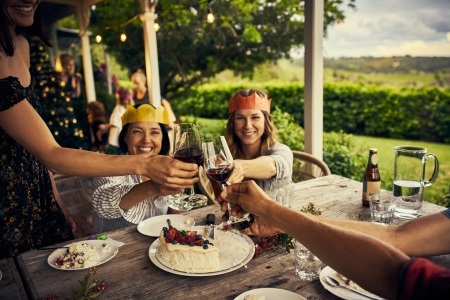 Holidays – Australians celebrate many of the same holidays celebrated in the Western world, but also some unique to Australian culture. One of which is Anzac Day, a holiday set to honour Australians who have died in wars. The celebration consists of veterans marching through streets and ceremonies that take place throughout the day. ‘Anzac’ stands for Australian and New Zealand Army Corps and takes place on the 25th of April. Another popular holiday is Australia Day, a celebration commemorating the 26th of January 1788, when Australia was declared a new colony by the English. Fireworks and outdoor activities close the summer vacation in the most enjoyable of ways. Food – Some of the most popular meals in Australia include seafood and large portions of meat. However, traditional Australian food includes the infamous Vegemite – a black spread made from yeast extract and salt that is regularly spread on one’s morning toast, Pavola – a popular dessert with a fruity and creamy filling, and meat pie. Music – Contemporary pop music is listened to most frequently in Australia. However, Indigenous Australian artists still practice traditional music styles that may sometimes fuse with European and contemporary interpretations. Some traditional forms of music include Bunggul, Wangga and Kun-borrk, and instruments include the didgeridoo or clapsticks. Traditional Australian music has existed for 40,000 years.